Over the many years we’ve been travelling, finding the right packing solution for all our gear has been a challenge. While plastic tubs can be stackable, they eventually disintegrate, so we followed the jolly swagman who we think had the right idea, and chose to go with canvas. It’s weatherproof, it breathes, and it’s dustproof to a degree, and it can be made into a variety of sizes and shapes to save room. But when you combine it with good, strong, robust, fit-for-purpose zips and Velcro, you’ve got the perfect storage solution for pretty well everything. While having had the odd bag made by industrial canvas businesses who make blinds and annexes in the past, getting the businesses to understand our requirements had its issues. Yes they can make an annexe, but when trying to have them make a small special purpose bag with a top quality YKK branded zip, we found it was all too hard for them. So when we learnt that DRIFTA produced a large selection of canvas bags that were made with campers in mind, we knew we were onto something great. 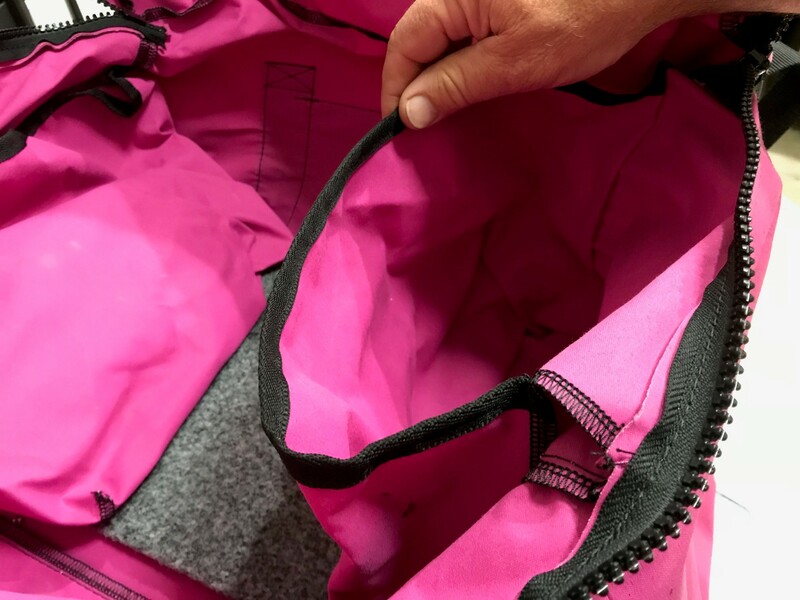 While it would be impossible for us to review all of the DRIFTA bags we have, we’ll take one of our bags and put it under the microscope to explain exactly what we see and how it’s performed. The canvas is Australian made and is available in a range of colours. The cotton used to sew the panels together is a thick cotton which has also been used on the bag’s carry straps which are made of webbing. The bag also has a zip and a strong robust YKK zip has been used. The inside of this bag has two pockets sewn into it, and there’s also some reinforcing carpet on the bag’s base. The bag has been branded with the DRIFTA logo in black lettering (which is a similar feature on all the DRIFTA bags we have). So after a couple of trips, what do we think? Well, there’s little doubt the canvas is of good quality. We found the look and feel to be very good – not super stiff, but not flimsy either. The carry straps haven’t torn or frayed, and we liked the fact the straps had been sewn on all sides which clearly has added strength to the bag’s overall use. 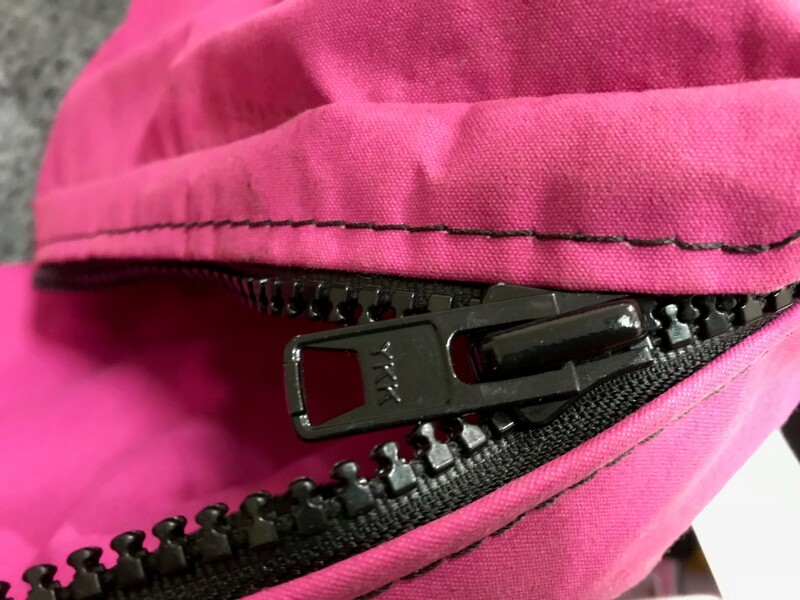 The YKK branded zip used is also a big tick for us – we’ve found them to be the best on the market by far, especially in the dusty environments we have taken our bags to. 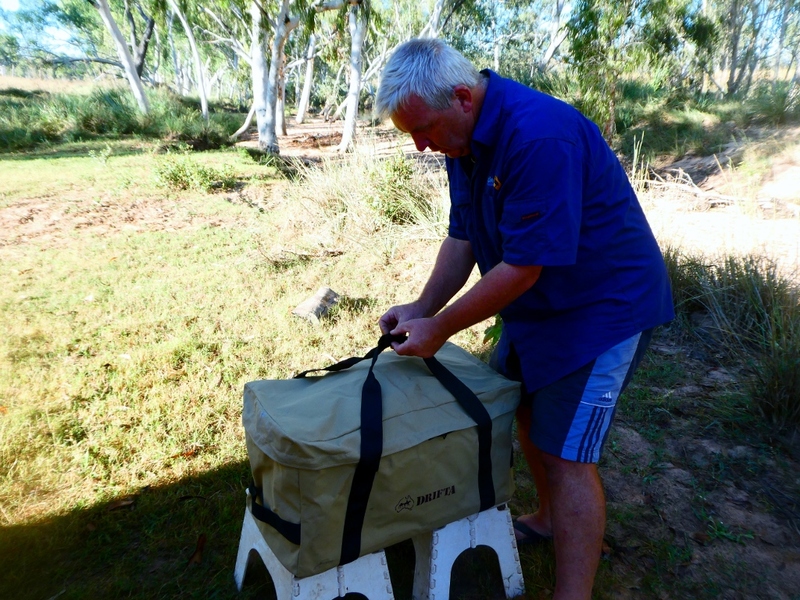 Even after constant use on a recent dusty trip to the Kimberley, the zips still work as if they were new. Having inside pockets sewn into the bag has meant we can easily separate items, and the use of carpet on the base has definitely added stability and works well. With that said, we’ll continue to use our range of DRIFTA canvas bags for all sorts of gear. We use them for items such as clothing, toiletries, dirty boots and shoes, and even for our portable solar panels, electrical cables, pumps and hoses. As we’re so hooked on these canvas bags, we’ve recently added more to our set up for dirty gear such as mats, camp ovens, bbqs, a fire pit, spare parts, tools, camp lights, tables, chairs, and camera gear. We now have a solution for pretty well everything in our setup! 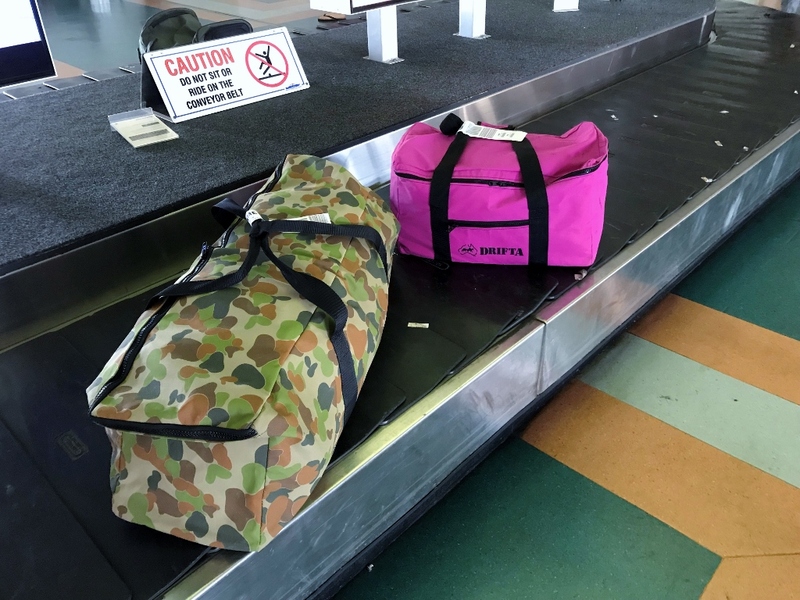 So if you’re looking for a way to protect your camping gear with some good quality canvas bags, there’s every chance that the DRIFTA range of canvas bags will have a solution. If they don’t have something available you need straight off the shelf, they can offer a custom solution by arrangement. An if you’re like us, the only problem you’ll face is becoming addicted to the bags, and you’ll be looking for a DRIFTA canvas bag solution for everything you own! But as we’ve found out, they make awesome presents, so you’ll never be left wondering what to buy someone for that special birthday.